If This Set Doesn’t Make You “Like Ike,” Nothing Will! Many of us have fond memories of from our childhood of a visiting relative who miraculously produced a silver dollar from behind our ears. More often than not, this was an Eisenhower Dollar. Back then, those big dollar coins had some serious purchasing power for kids – comic books were 15 cents in 1971, candy bars and baseball card packs each cost 10 cents, and you could probably get a bottle of soda pop for less than 25 cents. With shiny “Ike” Dollars in our pockets, we felt like we were rich! 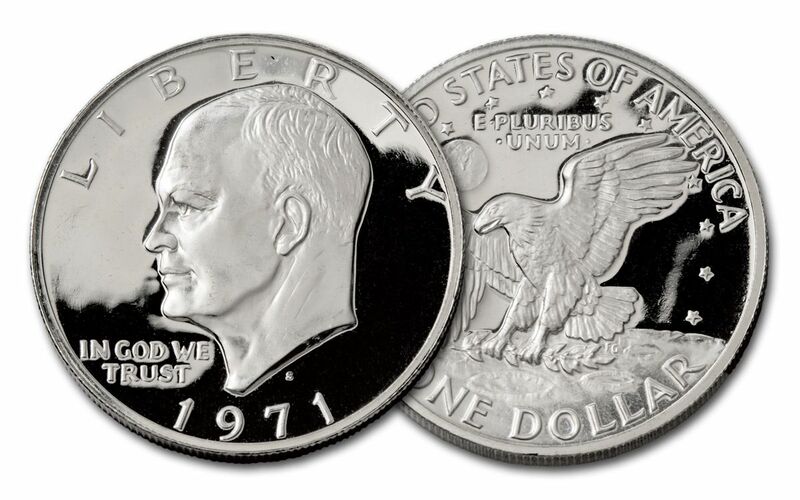 It’s been 40 years since the last Ike Dollars rolled off the presses at the U.S. Mint. The last of the large-sized dollar coins, many Ike Dollars struck from 1971-1978 can command high prices. Finding one or two of these beauties todays is tough enough let alone building a whole set. But thanks to our status and contacts within the coin world, we’ve managed to assemble nearly 100 complete 32-coin Ike Dollar sets – and we’re making them available at a fraction of what they are being offer for elsewhere! The vivid memories of these big coins is one of the reasons many people started collecting coins in the first place. 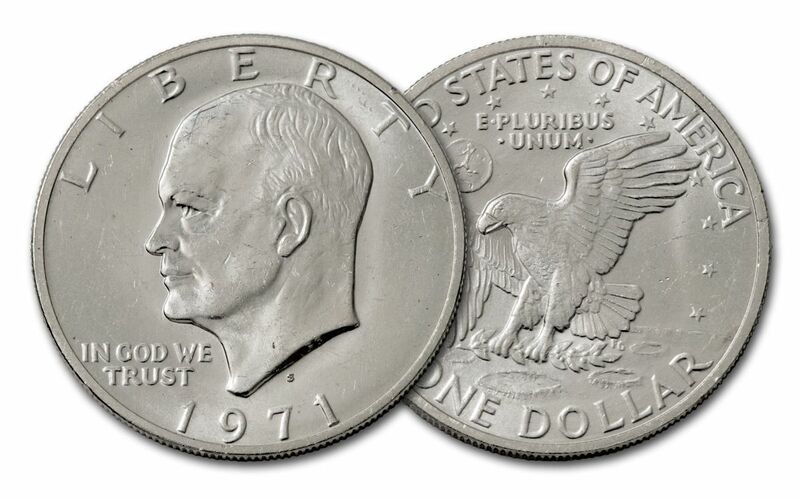 For people of that generation it is rightly regarded as the Greatest American Silver Dollar Collection.” On the obverse is the bust of Dwight David Eisenhower – the nation’s 34th President and a 5-star general in the United States Army who served as the Supreme Allied Commander of Allied forced in Europe during World War II. The coin’s reverse is the same design as that from the mission insignia of the Apollo 11 mission that landed the first men on the moon. These two designs together pay tribute to one of America’s greatest presidents and one of the country’s greatest achievements all on one coin! COMPLETE COLLECTION OF FIRST-YEAR IKES – No collection is complete without the first. In this complete collection, you will receive FOUR! 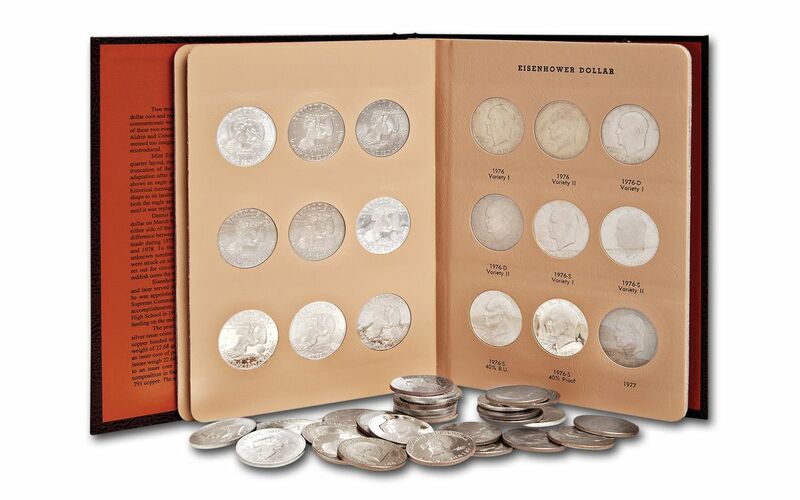 COMPLETE COLLECTION OF SILVER IKE DOLLARS – The Ike Dollar was the last U.S. dollar coin struck for circulation in 40% silver. You will receive TEN silver Ikes. 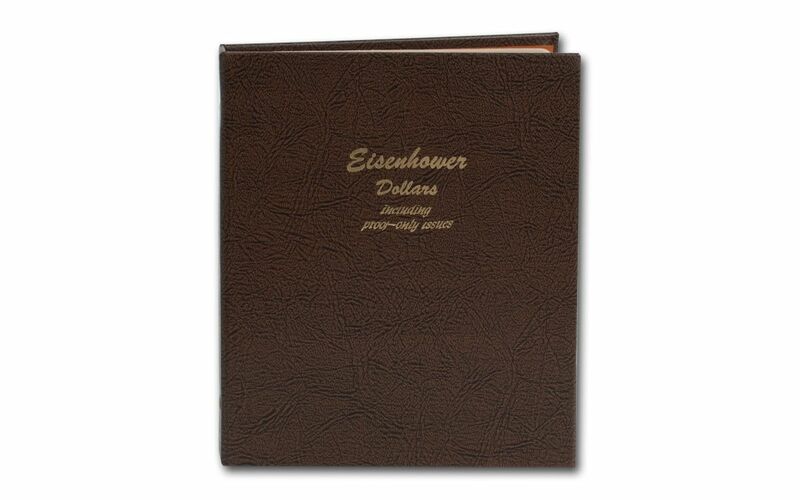 COMPLETE COLLECTION OF PROOF IKE DOLLARS – Struck with frosty design and mirrored fields, Proof Ike Dollars had to be purchased directly from the Mint. You will get all ELEVEN of them! COMPLETE COLLECTION OF UNCIRCULATED IKES – Between the different mints and dates there were TWENTY-ONE different Ikes struck for circulation. You will get them all! COMPLETE COLLECTION OF SAN FRANCISCO, DENVER AND PHILADELPHIA IKE DOLLARS – With this complete collection, you will receive every Ike Dollar struck at the U.S. Mints in San Francisco, Denver and Philadelphia. 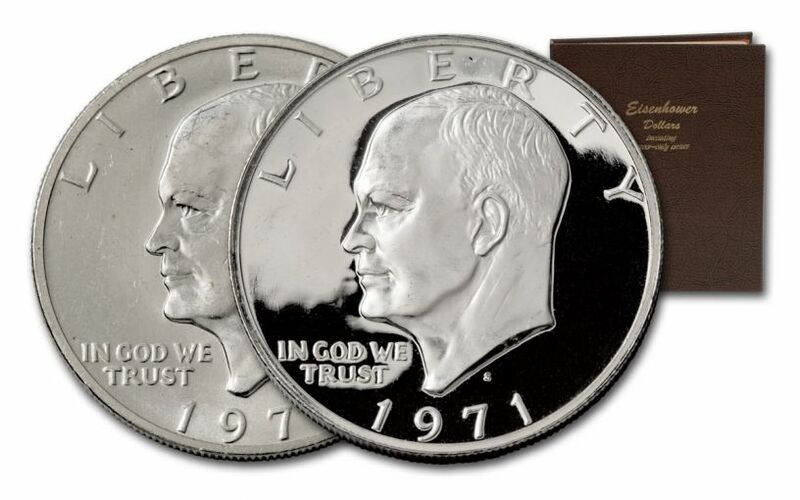 COMPLETE COLLECTION OF LAST-YEAR IKE DOLLARS – The 1978 Ike Dollars were the last large-sized American dollar coin. You will receive all each last-year Ike Dollar struck by the San Francisco, Denver and Philadelphia Mints. COMPLETE COLLECTION OF BICENTENNIAL IKE DOLLARS – The 1975 and 1976 Ike dollars both had dual dates, but you can tell the difference because the 1975 “Type I” has thicker letters on the reverse while the 1976 “Type II” version uses thinner lettering. Between these two types eight different versions were struck and your complete set includes them all! With the popularity of Eisenhower, the fast-approaching 50th anniversary of the Apollo 11 moon landing, and the limited number of sets available, there’s no guarantee how long our supply will last. Order yours now!